Linux operating systems are popular especially with home server, HTPC, and system administration enthusiasts. Often Linux machines are do-it-yourself (DIY) projects where end users install a Linux distribution (distro) on existing hardware. Yet there's a thriving market for pre-built Linux laptops. Buying a Linux laptop yields several advantages. Primarily, there's the bonus of having a device ready to go out-of-the-box. Additionally, a pre-built Linux laptop might come with support. Whereas a DIY machine certainly lacks any sort of warranty. But finding the best Linux laptop can be a challenge. With loads of options, it's difficult to find the right choice. It is for this reason that we published a list of Ubuntu compatible laptops in 2012. We decided it was time to update this list. So, check out the 5 best Linux laptops you can buy in 2017. Why Buy a Linux Compatible Laptop? 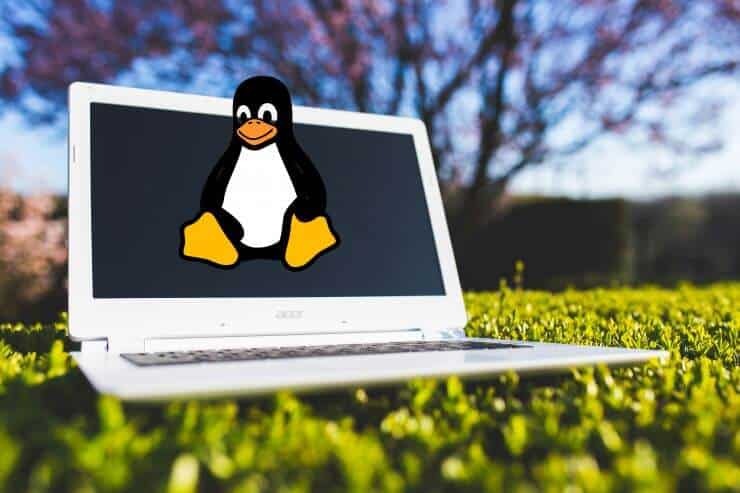 Before looking at the best Linux laptops for your money, let's consider the advantages of buying over building. First, by buying a Linux laptop you get a computer that simply works. While Linux distros are typically easy to install, occasionally installation requires a bit of tweaking. When I loaded Ubuntu 16.04 on my Lenovo ThinkServer TS140, the install was simple. However getting Ubuntu 16.04 to function on an HP x360 laptop required fiddling with Wi-Fi drivers and navigating Linux forums. Buy a Linux laptop and your hardware is guaranteed to work. Moreover, buying a Linux laptop offers at least the option for support. Most manufacturers provide a warranty, whether free or paid. Especially if you're selecting a Linux laptop for work, you'll want support. It's this combination of hardware compatibility and support that makes a pre-built Linux compatible laptop an excellent idea. System76 is arguably the most well-known Linux PC manufacturer. The Denver Colorado-based company offers an assortment of Linux compatible laptops and desktops. Its Galago Pro laptop received a major revamp in 2017. Sporting a thin form factor, 13″ HiDPI display, and backlit keyboard, the new Galago clocks in at just 2.8 lbs. You'll find an SD card slot, two USB 3.1 ports, a Thunderbolt 3 USB-C port, and ethernet port. While the 2017 Galago Pro is a thin and light laptop, System76 doesn't skimp on storage. It's available with up to 32GB of RAM and 6 TB of storage. You can outfit the Galago Pro with an Intel Kaby Lake 7th gen i5 or i7 CPU. The Galago Pro starts at $900. You may also consider the System76 Lemur. Boasting a starting price of $699, it's a more affordable and provides a similar experience. 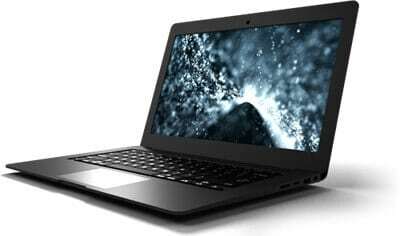 Opting for a Lemur gets you a 7th gen Intel Kaby Lake i3 or i7 CPU, thin and light design, and 14.1″ 1080p IPS display. There's no i5 option, and you lose the HiDPI display. Additionally, the Lemur lacks a backlit keyboard. Nevertheless, the Lemur is available with up to 32GB of RAM and 5 TB of storage, and weighs a mere 3.6 lbs.Power users may prefer the Oryx Pro or beastly Bonobo WS that handled a 32-node Kubernetes cluster. With its premium specs and balance between performance and portability, the System76 Galago Pro is one of the best Linux notebooks you can buy. Dude, you're getting a Dell…that runs Linux. Benchmarks showed that the Dell XPS 13 Developer Edition performed admirably. Most shockingly, its integrated graphics chips yielded decent Ungine Heaven performance. Make no mistake, the XPS 13 is not a gaming PC and it's not marketed as one. However the newest iteration offered 8.1 frames per second (FPS) in Ungine Heaven benchmarks. For comparison, the previous generation averaged 2.3 FPS. That's a pretty substantial increase, and the Dell XPS 13 should be suitable for less graphic intensive games. 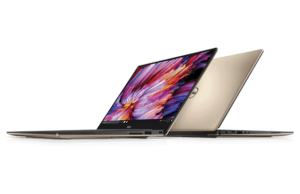 While there are plenty of Linux compatible laptops available from a smattering of companies, the Dell XPS 13 ranks among the few Linux machines by a mainstream vendor. With its lightweight design, gorgeous screen, and solid performance, the Dell XPS 13 Developer Edition is definitely one of the best Linux laptops available for your money. Purism's Librem 13 is the best Linux laptop for the security-minded. Purism takes a slightly different approach. Rather than offering Ubuntu or a more traditional Linux distro like Linux Mint or Fedora, Purism ships its pre-built Linux laptops with PureOS. Its Linux distribution features an onus on security, freedom, and privacy. Out of the box PureOS features Duck Duck Go, a Tor Browser, ane EFF Privacy Badger. PureOS remains a derivative of Debian. The Librem 13 is a superb notebook that features an array stellar specs. You can outfit the Librem 13 with up to 16GB of RAM, a 1 TB M.2 SSD, 1 TB 2.5″ SATA, and pick between PureOS and QubesOS. Additionally, it's one of the few laptops you can order without a wireless card. 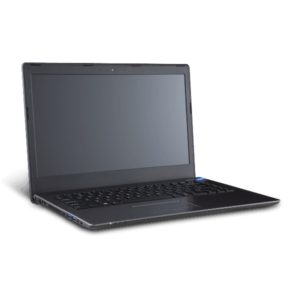 With a mix of power and portability, the Purism Librem 13 features a 13.3″ screen. Because of its security focus, the Librem 13 is one of the best Linux laptops available. For those in need of a laptop-tablet hybrid, the Librem 11 is a solid choice. What is sacrifices in processing with its M-5Y10c it makes up for in its small form factor. There's even an available docking station. Power users should consider the Librem 15 which sports the same CPU and integrated GPU of the Librem while adding additional screen size and backlit keyboard. The ZaReason UltraLap 5330, a versatile Linux laptop. The ZaReason UltraLap 5330 is a fantastic machine with a range of options. ZaReason offers loads of distro choices including Ubuntu 16.04 LTS, openSUSE Leap 42, Mint 18, Fedora 25, Debian 8 Cinnamon, Kubuntu 16.04 LTS, CentOS 7, or even a specified Linux operating system. Additionally, hardware options abound. You can select an Intel i3-7100U or i7-7500U. The UltraLap 5330 can take a maximum of 32GB of RAM, up to a 1 TB M.2 SSD, and either 2 TB 2.5″ SATA or 1 TB 2.5″ SSD. Even the super key may be customized as either the Ubuntu log or Tux logo. It's this extreme customization that posits the ZaReason UltraLap 5330 as one of the best Linux laptops you can buy in 2017. From hardware to operating system, the UltraLap 5330 delivers a tailored experience. The Litebook is like a Linux Chromebook. Chromebooks have become increasingly popular. While Chromebooks are prefect for installing your own Linux operating system, the Litebook is an ultraportable laptop that's highly affordable. It's a Chromebook-killer for Linux users. This Linux compatible notebook benefits from gorgeous hardware. Available in white, black, or red, the Litebook features an Intel 1.6 GHz quad core processor, 4GB of RAM, and a choice of 512Gb SATA harddrive or 544GB hybrid drive. Plus, it clocks in at a mere 2.9 lbs. The 14.1″ screen is a full 1080p HD. You'll find Elementary OS as the pre-installed distro. Notably, the Litebook hardware is Windows compatible for those who choose to dual boot. The Litebook is not only lightweight, but its software ensures that there's no bloatware. Although these are the best Linux laptops you can buy in 2017, there are many more options. Emperor Linux features a smattering of hardware choices. Most Emperor Linux options are re-purposed Dell laptops. There's also The Linux Laptop with an array of Linux compatible laptops based off of laptops from the likes of Acer and Dell. The Linux Laptop even features an Alienware laptop with choice of Linux distro. While Linux and gaming might seem contradictory, native Linux games are rather abundant. Moreover, you can even run game servers on Linux. Think Penguin is another excellent option, and Linux Certified sells Linux laptops as well. Which Linux laptops do you recommend? Too many web interfaces? Try HTPC Manager!